The accelerator continues to climb and the brake pedal is impossible to push. Rear brake line and two wheel cylinders recently replaced. Please. What could be the problem? I am not sure where you got your brakes fixed at, but I would go back there and have them fix it right. And please, please do not dive this car until it is fixed. This is an Extremely dangerous situation, that has to be fixed before the vehicle is to be driven. I have thoroughly searched the Technical Service Bulletins (TSB)'s for your car and this is the only one I could find that has anything to do with your car's problem. I have included it down below in the diagrams. It is from AAMCO. 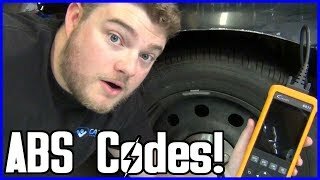 If you had somebody else besides a business do the work on your car, we can provide step by step instructions on how to properly do the job right. Get back to us with what you find out. So if the brakes get fixed again then the acceleration problem will be solved too? I am not driving until it's fixed. It's terrifying! I forgot to include the TSB last time. No. You should get both systems in working order. I will include step by step instructions for you in a minute or two. Thanks for your patientce. Okay. I have included all the instructions for your vehicle's brake system in the diagrams down below. I'm not sure where you had your brakes done, but they need to make sure that your brakes are in working order before they give your car back to you. I've included instructions for disc and for drum rear brakes, even though it sounds like you drums in back. Please get back to us and let us know what is going on with your vehicle. The brake pedal is unpush able only when the car is stuck in increasing speed. I didn't think the two systems were connected but it acts like they are. The brakes work fine when the accelerator isn't "sticking" and steadily increasing speed without my foot on the pedal. You might want to contact your local Nissan dealership and talk to some one in the service department, if for nothing else to see if they want to start a Technical Service Bulletin or something on that. Thank you for all your time! I really appreciate it! We are here to help, please use 2CarPros anytime. 2005 Nissan Sentra Brakes Lights Are Not Working? I Need To Know Why My Brake Lights Are Not Working On My 2005 Nissan Sentra 1.8s. I Have Checked The Fuse And It Is Good.